Stay up-to-date with immunization resources this season. Peak flu season is near, and now is the time to protect ourselves, our loved ones, and our patients against the flu and other communicable diseases. 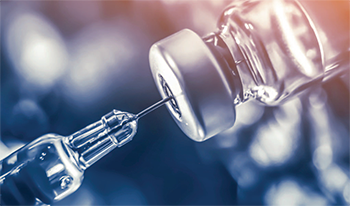 In a revised position statement in 2015, the American Nurses Association (ANA) recommends vaccination of all healthcare personnel, including RNs. So, let’s review two key vaccines that are available to safeguard our health. Although reports that the 2017-2018 flu season was the worst in nearly a decade, the Centers for Disease Control and Prevention (CDC) core recommendations remain: The annual flu vaccine is recommended for all people ages 6 months and older who don’t have contraindications. For this year, the Advisory Committee on Immunization Practices (ACIP) voted to recommend the use of the FluMist® Quadrivalent (LAIV4) flu vaccine as an option for people age 2 to 49 years and for those in whom it is otherwise appropriate. Providers may choose to administer any licensed, age-appropriate influenza vaccine (IIV, RIV4, or LAIV4). The current LAIV4 is based on a strain (A/Slovenia) that has better replication performance than previous years. For more information on the new version of LAIV4, see the CDC’s Morbidity and Mortality Weekly Report (cdc.gov/mmwr/volumes/67/wr/mm6722a5.htm). In October 2017, ACIP recommended the recombinant zoster vaccine (RZ4, Shingrix) as the preferred vaccine for preventing herpes zoster and related complications in immunocompetent adults age 50 years or older. RZ4 also is recommended for immunocompetent adults who previously received the live zoster vaccine (ZVL, Zostavax®). Recently, high levels of demand for the RZ4 have prompted the manufacturer to institute order limits, causing providers to see shipping delays that are anticipated to last throughout 2018. Doses will be released to all customer types in the U.S. market for the remainder of 2018, and the supply of RZ4 is sufficient to vaccinate more U.S. patients than were vaccinated with ZVL last year. Providers may want to consult with their suppliers to verify status and anticipated delivery dates of their orders. Some patients may have found they have to get on a waiting list at their healthcare provider until sufficient quantities are available. For more information, see the CDC’s report Current Vaccine Shortages & Delays (cdc.gov/vaccines/hcp/clinical-resources/ shortages.html). The 2019 adult and child vaccine schedules (cdc.gov/vaccines/schedules/) will be issued in late February 2019. Consult the CDC website and the associated notes for updates as they’re available. If you have questions about vaccines, consult with your local health department specialists or contact CDCINFO (wwwn.cdc.gov/dcs/ContactUs/Form) to get your questions answered. Don’t forget ANA Immunization Resources (nursingworld.org/practice-policy/work-environment/health-safety/immunize/immunization-resources/), which can help answer practice and policy questions. Chad Rittle is associate professor, nursing faculty at Chatham University in Pittsburgh, Pennsylvania. Ruth Francis is senior policy advisor in Nursing Practice & Work Environment at ANA.